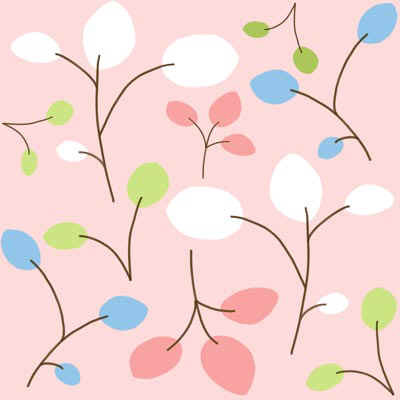 Peaceful Spring Day from Bev Sykes on Vimeo. Jeri has taken a little jaunt down to New Orleans. 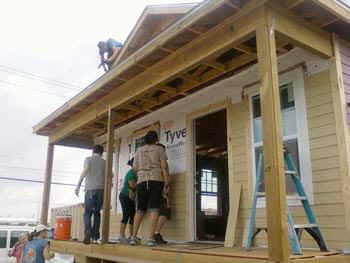 Every year, since Katrina, a group from Berklee College of Music gets together, goes to New Orleans and works on a Habitat for Humanity project. Until this year, the schedule had not permitted Jeri to join them, because it usually came at a time when she was grading papers or coming to California. This year, however, she was free and clear to go with the group and they took off on Monday. 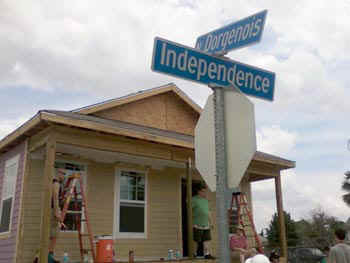 This is where they started, in the upper 9th ward. 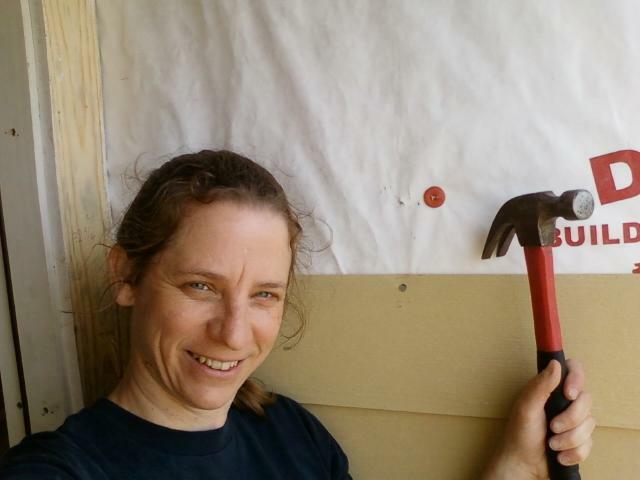 On the first day, they were putting up siding, which I told Jeri must have been like building a stage set. She said she had become an expert on caulking. 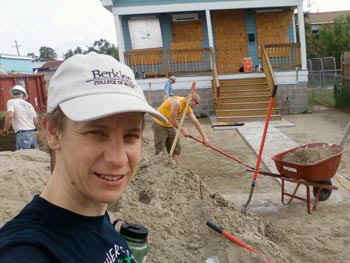 The second day, they were landscaping a nearly finished house, and Jeri says they learned a lot about "sweat equity" -- or at least they learned a lot about sweat.
. and a lot of sweat. 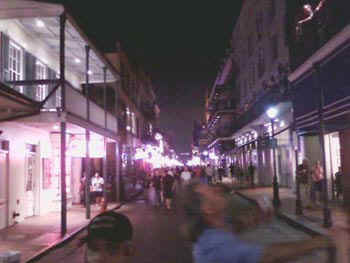 In the evening there is time to visit the French Quarter, the perfect place for a bunch of musicians to hang around! The group is keeping a blog about their experiences and I loved reading an entry by lmcfarlane, which read, in part, "I have to say that my favorite part of the night was when Mike and Jeri took the stage for a Berk alum/Tipitina monster jam. Jeri sassed us all with her flute stylings while Mike seriously smoked on his tenor sax solos. Fan-tastic." I've been so impressed with the whole Habitat for Humanity project anyway, since Jimmy Carter brought attention to it by getting involved. 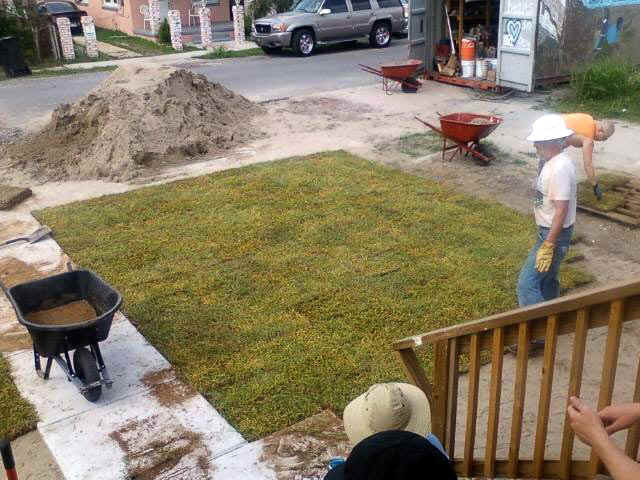 It seems right up Jeri's alley and I'm so glad she's getting the experience of working in New Orleans.